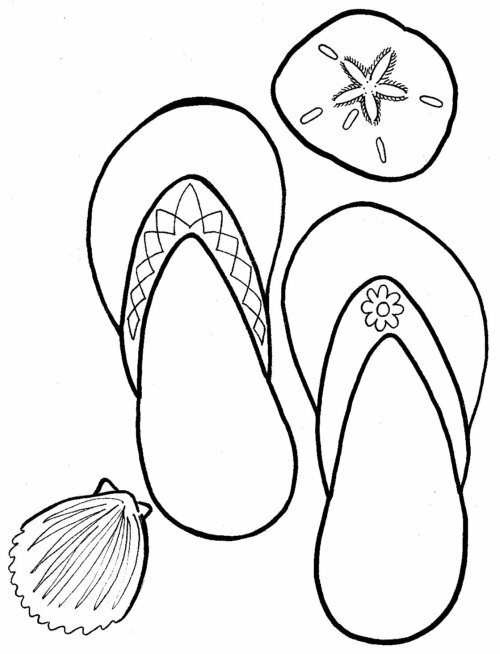 To create this fabulous summer jandals block, applique these summer jandals and/or shells any way you choose to create an atmosphere of summer. Embellish them to your hearts content! Choose any two or more items from the four below and have fun! Don't hesitate to reverse them if you wish. Background fabric is a 9" square in a pale yellow print - spot, small flower, stripe etc, similar to sand. The block above is not yet finished but it will give you an idea of the sewn block minus any embellishments. Your quilting group can have a lot of fun with this very simple block. The straps on the jandals can be added using ribbon, Ric-rac, soft twine or similar, or in fact anything that you can find. This one change reduces the amount of appliqueing needed on this block - quite significant if some of your members don't like doing applique! Another fun part of this block is the ability to add interest above the center of the strap - use buttons, wee flowers, felt shapes, metallic stars or anything else that takes your fancy. Fortunately no one is going to wear these jandals so you can go quite ridiculous here. For those of you who love the block but are unsure about your applique technique then I have shown my way of machine appliqueing using this block with easy step by step instructions. 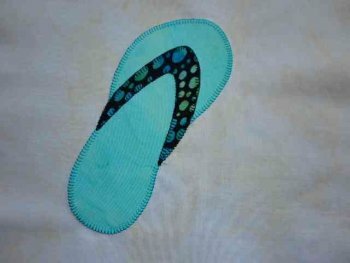 I've always loved the idea of making a quilt with feet silhouettes on it. Done in such a way that wee feet can walk on them!! I think the jandal base in this block would be the ideal template to use. Add toes if you wish! This idea could also be used as the backing for the finished summer quilt.